In 2012, Colorado made history by becoming the first state to legalize recreational marijuana for adults over 21. This week, the state enjoyed another first: the installation of a vending machine that dispenses cannabis directly to the public. 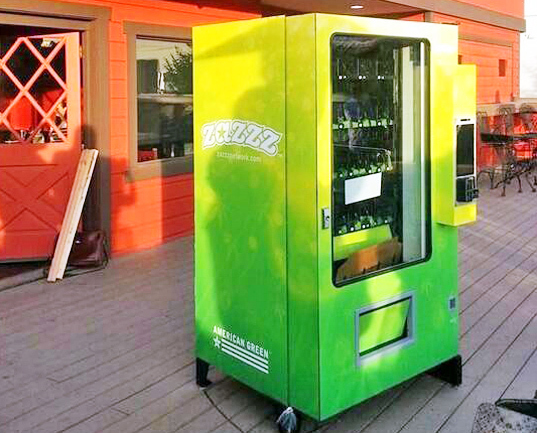 Created by Arizona company American Green, ZaZZZ is “an automated, age-verifying, climate-controlled marijuana dispensing machine.” Although it’s not, as some have billed it, the “first weed vending machine in the world,” ZaZZZ is the first standalone kiosk to dispense cannabis without the oversight of a budtender. The vending machine made its debut at a private, invite-only event in Eagle County on April 12, 2014 and was installed inside Avon medical dispensary Herbal Elements the next day — a week before 4/20. I know what you’re thinking: “People vandalize normal vending machines for the money and treats inside, this one won’t last a day!” If ZaZZZ was put together like normal vending machines, you’d be right, but it’s got more high tech features than your smartphone. Customers will be required to “scan their driving licence (or other, similar documentation) before they can access the goods. Multiple cameras attached to the machine make sure the person swiping the card is definitely its owner and will deny access if there is no obvious match,” reports the Times of India. If deemed worthy enough to trade money for the green treasures within, customers will have some options, including the ZaZZZ Card, cash, and perhaps most notably, bitcoin. “Cost reduction was only one of the drivers for accepting bitcoin. The other was grounded in ideology,” explains American Green. Although it might be the world’s best marketing tactic, and is sure to attract a lot of attention in Colorado, it’s unlikely to spread as fast as, well, MMJ legislation. Stephen Shearing, COO of American Green’s parent company Tranzbyte, told The Cannabist that he does not think the concept will become mainstream for recreational use now or ever. 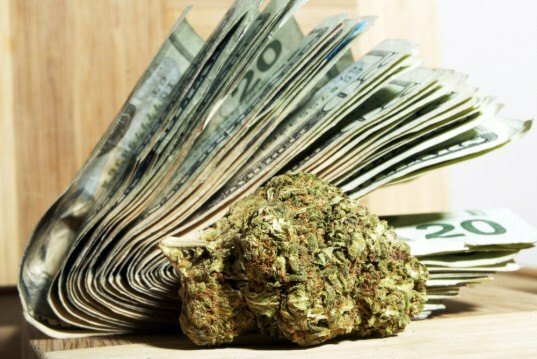 It is simply meant to “enhance legal sales facilities in ensuring that controlled substances (so far as we can control at the time of sale) are dispensed solely into the hands of those who qualify legally,” he explained. So if you want to experience the thrill of buying legal marijuana from a machine, book a trip to the Centennial state. Marijuana sign and money images via Shutterstock. ZaZZZ machine photo via Herbal Elements Dispensary on Twitter. surely,the new age of aquarius has began!